This week, Zane Benefits Associate Christina Merhar discussed "Can Tax-Free Premium Reimbursement Work for You?" via webcast. The feedback has been outstanding, so we've made a recording available to everyone. 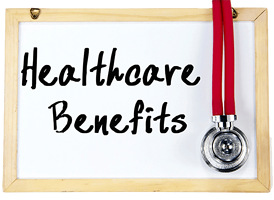 As discussed during the webinar, employers are using tax-free premium reimbursement plans to offer affordable health benefits. The new 35-minute on-demand webinar helps employers, health insurance brokers, and CPAs understand how this type of arrangement works and how it complies with federal regulations.